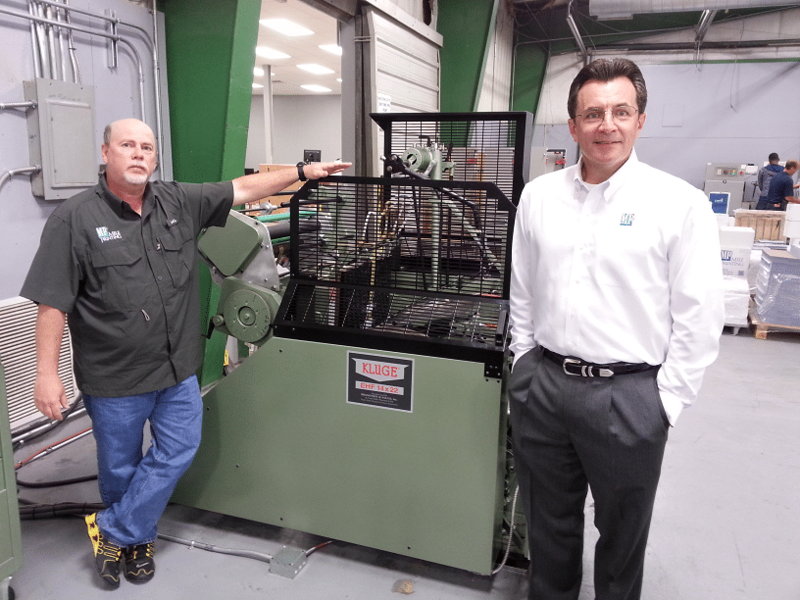 Mele Printing, Covington, Louisiana, has installed a Kluge 14×22 EHF Foil Stamping, Embossing and Diecutting Press. The EHF brings foil stamping and diecutting in-house giving Mele Printing both a faster delivery time and a lower cost of production for their customers. Two key features of the EHF are the Adjustable Impression which significantly reduces make-ready time and the Electronic Foil Control System which offers alternating foil sequence that saves valuable foil. The Electronic Foil Control System can also be configured for registered hologram applications. In business and family owned for over 27 years, Mele Printing is the largest commercial printer in the New Orleans metro area. Mele Printing offers both digital and offset printing, specializing in all types of political, marketing, statement and variable data campaigns for the New Orleans, Baton Rouge and surrounding areas. In a competitive market, they have achieved their goal of providing their customers exceptional quality and price while still delivering their orders with unmatched speed. Growing since 2009 and projecting more growth, the Kluge EHF fills an aspect that was missing in their business allowing them to maintain control over their product and offer their customers sophisticated finishing at competitive prices. 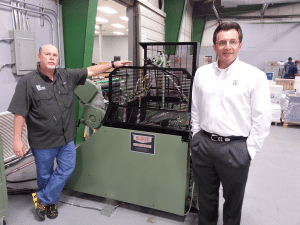 Mike Morgan (Production Manager) and Mallery Mele (Owner), stand next to Mele Printing’s new Kluge EHF.